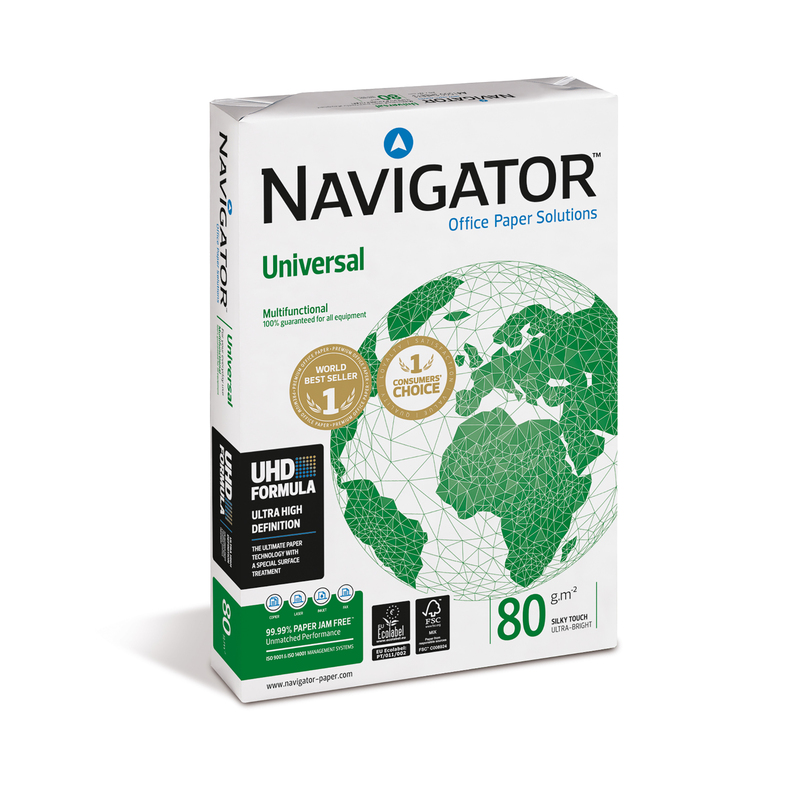 Navigator premium office paper has very good thickness and together with a high smoothness gives an excellent printing quality to the final document, as well as a tactile sensation of superior quality. The higher thickness provides a bulkier touch to the paper. Stiffness is very important to guarantee that paper runs through the printer without jams, which will translate into increased productivity and cost reduction (reduced paper loss, staff time wasted and production time). Navigator premium office paper has the best combination between stiffness and thickness, allowing a superior machine performance, especially in high speed equipment. This competitive advantage results from Eucalyptus globulus thicker fibre wall, when compared with other short fibres. 100% guaranteed for use on any laser or Inkjet printer and low, medium or high photocopiers. Suitable for direct digital printing using dry laser toners. FSC certified and carries the Eco-label certification.